With the unique context of a seven day intro course, the course developed into a very nice blend of theory and hands on with a lush tropical backdrop. Our daily forays of digging, planting, chopping and dropping, and fertilizing enabled people to apply the theory and learn through the body on this functioning farm. Consequently, Taino Farm’s mission of increased food production took some small but pattern based steps toward increased self-reliance. Most importantly we had a great group of students and formed the beginnings of a permaculture community in the Dominican Republic (DR). Some of the students will return to North America while some will begin to spread the word with their projects and local communities here in the DR.
Our small but concentrated core group from the course minus Justine who is taking the picture. Hot compost Pile turning in the heat of the tropical day but in the shade. pile was relatively easy to build. One such item was turning the problem of the leaky thatch roof that was removed before the course to be a solution of being part of that carbon based foods. So we mixed our greens and browns and did a quite low amount of high nitrogen input. We did turn it five days later which is a bit longer than our normal sequence but with the high carbon content it simply didn’t heat up too quickly. It smelled good when we turned it, no presence of actinobacteria (white ashy material within the pile) and good moisture content. The result will be a material meant for breeding micro-organisms and increasing the fungal counts in the relatively poor clay soils that we have their. The tropics requires good soil to grow vegetables and this is hard to accomplish with the never-ending nutrient cycling there. Thus our aim is to gain a base for production but keep using mulching and multi-storied plant growth to really pump food out. This compost pile is just the beginning of the long road ahead of building soil but is such a powerful tool for accelerating succession and evolution of the site. crop of papaya alongside these earthworks. So we dug the two meter wide hole that the design dictates and mounded around with this displaced earth. Fortunately, we had extra hands that day as our group grew with an open communal day that people could join. Old friends joined as well as local community members which made the experience that much better. Furthermore, it was hard work digging in that heavy clay soil but also gave us the framework for learning plant propagation. Thus we started by doing root division on the lemongrass and the local taro. The local farm workers helped us out with showing the local techniques with the taro and were a huge help throughout the whole course. Having been some time since I was last in the tropics, they were a huge source of information for us on plants and local planting techniques. Furthermore, they also demonstrated the local technique of planting cassava cuttings. We also chucked some brassica seeds out to act as a cover crop. We decided to wait on doing the layering of the sweet potatoes as the papayas were quite small and we wanted to let them get a bit bigger and rooted. After the planting we mulched and filled the middle with some organic material. Over the coming days we kept adding and adding to the middle whole which is the whole point of the design. it gave us one more element to take the daily food scraps which should of course be met with many different elements. On our afternoon off we also got to experience one of the highlights of living in rural Dominican Republic which is the river that the farm resides on. We went for the “river float” using old tire intertubes. A 15 minute walk up the road yields a 45 minute path down the valley on the sinuous shaped river. We got in some bird watching and small rapids running on the Caribbean colored fresh water. The aqua blue color of the river makes you feel like you are in the sea but the water runs fresh and clear when the rains are not really heavy. And a special thanks to our river guide known as Piggy, the farm dog that has a heart of gold and swims like a fish with her doggy paddle. technique that created a swale about 5 feet below the tree planting. We filled that semi-circle with mulch and put the water-loving cana lily in the depression. On the mound it was a mix of guild plants including cuttings of Mexican mint oregano, root divisions of lemongrass and tropical chives, and transplanted some annual seeded peppers and also quick yielding papaya. 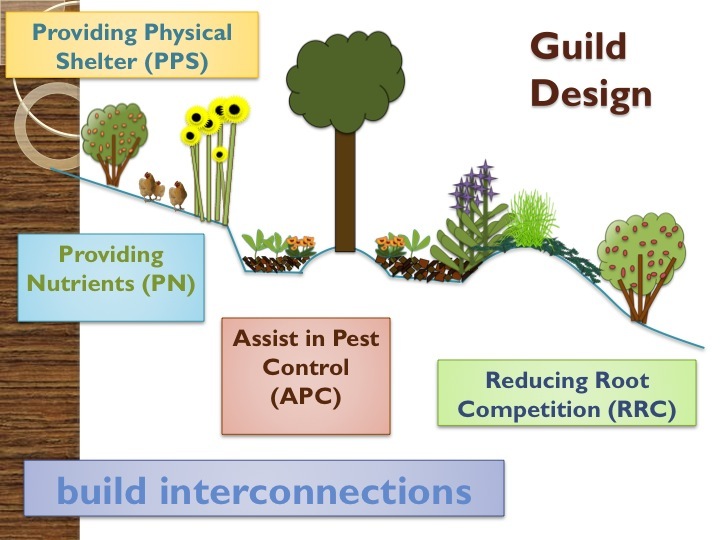 We went for guilds that would yield food, pest control, and nutrient cycling at many different stages so we could embody the principles of permaculture such as plant and time stacking and diversity. The two trees got nearly the same planting but different planting earthworks with one being the swale system and the other on a terrace. Virtually it is the same thing but it was nice to compare local planting techniques with a technique that I have trialed over the years. The fermentation line, chopping and pounding cabbage, carrots, chiles, and ginger, YUM!!!!!! permanence is connected directly to nurturing food. I hope to turn more of our salads into krauts and begin to deepen this association with cabbage here on the island as it eaten often in salads or cooked. Finally, along they way we had lots of fun and created a nice little community of people sharing this unique timeframe of co-creation on the farm. The final night was a great celebration with Viktor and company preparing a hangi (an underground cooking method with hot stones and vapor). It was a great feast and the beginnings of a fun night together for the last time!!!!!! Having fun a long the way is part of the job!!!!!!!! !